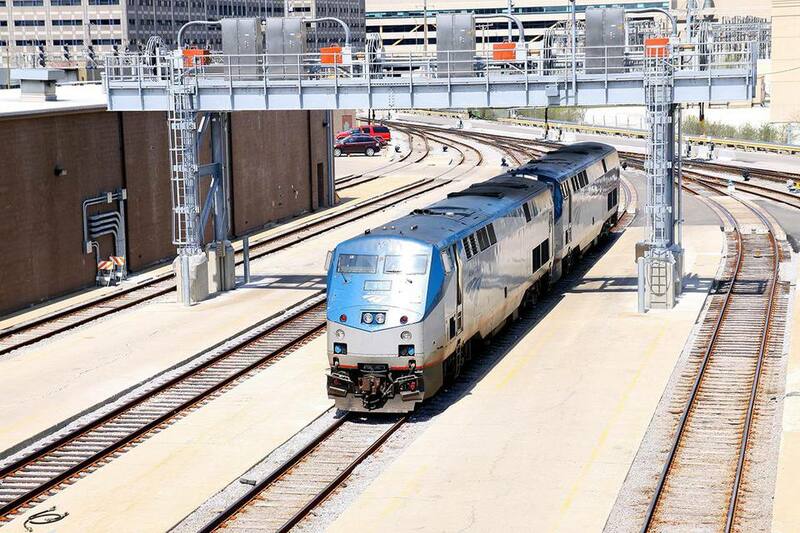 Trains to Chicago come from all parts of the country because Amtrak considers Chicago a main hub. If you look at a national Amtrak map, you'll see the lines all feeding into a central spot, the Windy City. Even if the cross-country train rider's final destination isn't Chicago, they almost certainly pass through it. Chicago, in fact, ranks fourth for Amtrak ridership to and from the city, with more than three million passengers per year. The fifth place destination, Los Angeles, comes in at only 1.5 million. Some of the busier/well-known routes include the California Zephyr, which travels from San Francisco through Denver to Chicago; the City of New Orleans, which, as the name implies, travels from New Orleans through Memphis to Chicago; the Empire Builder, which travels from Seattle through St. Paul to Chicago; the Lake Shore Limited, which travels from New York through Albany to Chicago. All Amtrak trains come into Chicago's grand Union Station downtown, a short walk or cab ride to a large number of hotels. Union Station is one of many popular tourist attractions in Chicago. The big shootout scene towards the end of the movie "The Untouchables" was filmed here. Other movies that filmed at Union Station include "Flags of our Fathers," "My Best Friend's Wedding," "Chain Reaction" and "Public Enemies." The main physical attraction of the Great Hall at Union Station is a 219-foot-long barrel-vaulted skylight soaring 115 feet over the room. Greektown. The feel-good cult flick "My Big Fat Greek Wedding" was filmed in Chicago's Greektown. The near west side neighborhood, which is located on the edge of downtown, caters to the third largest population of Greeks living in the United States. Approximately 150,000 people of Greek ancestry live in the greater Chicago area, and Greektown offers a number of bars, ​restaurants and shops that are steeped in tradition. What's With That 'Windy City' Nickname? Can You Name All Nine of the Teams Affiliated With the Cubs? What Is Chicago Like in November?